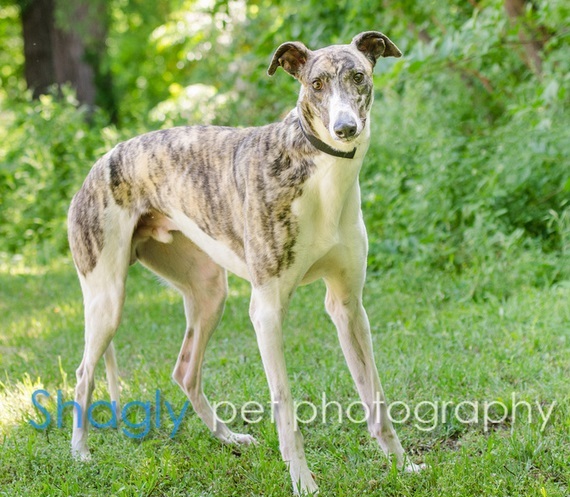 Henry, aka Astarhenryeighth, is a 1-year-old white & brindle male born on December 31, 2012. Henry's sire is Lonesome Cry and her dam is Lamorge Streaker. 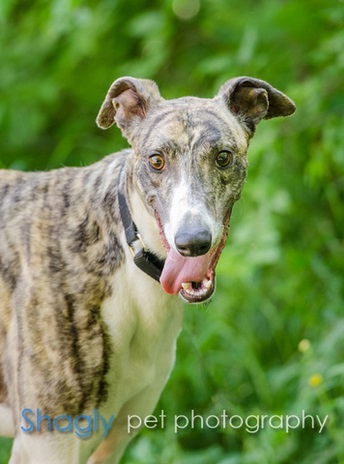 Henry has no races on record at Greyhound-data.com, preferring instead to head straight for a forever home of his own. This zany boy loves to play! Henry has not yet been tested with cats or other small animals.